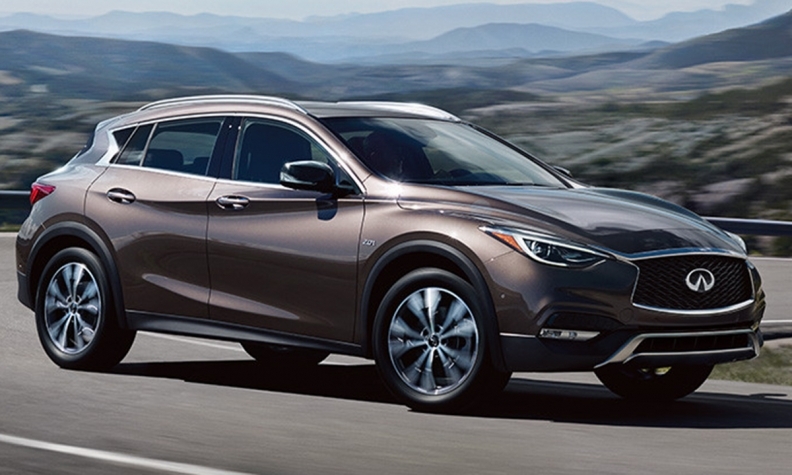 Nissan Canada is recalling 2017-18 Infiniti QX30 crossovers because poor grounding of steering components could cause the driver-side airbag to deploy, potentially injuring the driver and resulting in a crash. The driver-side airbag can deploy if an electrostatic charge occurs that cannot be led to ground and the airbag clock spring is broken. Transport Canada says on its website that Nissan Canada is recalling 1,686 vehicles. Nissan notified Transport Canada and also the U.S. National Highway Traffic Safety Administration of the problem during the week Oct. 30, after receiving information about the potential problem in September from supplier Daimler AG. The automaker is recalling 17,507 vehicles in the United States. Vehicle owners in the United States will begin to receive notifications about the problem and how to get repairs on Dec. 18. It’s not clear when Canadian owners will be notified. No incidents related to the condition have been reported on Infiniti vehicles, but the company said it is recalling the vehicles to make sure none occur. Dealerships will install a commutator ring to ensure proper grounding of the steering column, Nissan said. Parts availability is under study.